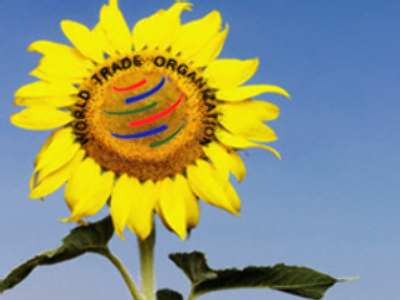 Russia’s bid to join the World Trade Organisation could hinge on its policies on farming. Agriculture minister Alexey Gordeev is to hold the latest round of talks on joining the WTO in Geneva on Wednesday – with agrarian issues at the top of the bill. The acceptable level of state support to agricultural producers is a key part of the negotiations. Mr. Gordeev will meet representatives of the so-called Cairns group, comprising 19 agriculture exporting countries. A candidate to join must have allocated sufficient funds to the state support of the domestic agricultural sector from 2004 to 2006. Russia, however, cannot manage to fit this requirement. Mr. Gordeev stressed the country will provide $US 9 billion up to 2012, in accordance with the corresponding state program. Gorveev believes Russia is now ready to make a final step towards joining the WTO, with Russia fully committed to completing the process.